Under neoliberal capitalism, pharmaceutical industries commodified health and the representation of bodies and sexuality, what Foucault described as: “the constitution of the market as site of the formation of truth”. Preciado calls it: the “pharmacopornographic” era, where identities and even pleasure are co-dependent on the the dosage of our intakes provided by the market (e.g viagra, antidepressants or hormones). Corpoanarchia suggests a critical way of dealing with this matrix through a performative refusal on a molecular level. The model based on the performance of “Antibody” in confrontation with a virus. 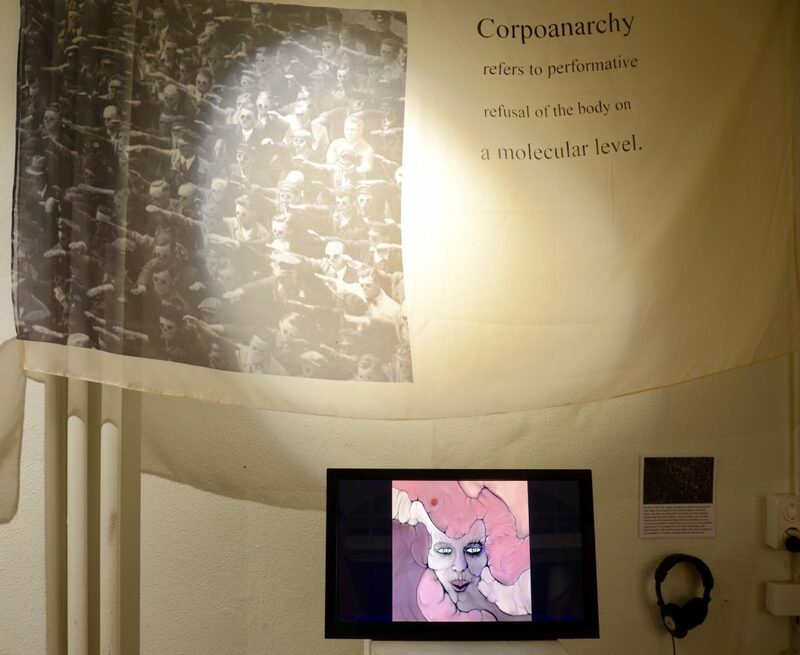 Corpoanarchy examines the performativity of social movements through the lens of the behavior of such micro-organisms. The phrase (corpoanarchy/نافرمانی بدنی) itself is a proposition for a systematic form of micropolitics, in a series of performative scores/exercises!